By Peter Levine - To many therapists, Somatic Experiencing (SE) still seems bit mysterious, even mystical. Here, SE pioneer Peter Levine describes what a first session looks like and the skills an SE therapist needs to have. VIDEO: Peter Levine on Trauma Treatment's "Greatest Tool"
According to trauma specialist Peter Levine, the body is the therapist's greatest tool in helping clients understand and heal from a traumatic event. So rather than focus on the event itself, Levine asks clients to focus on how their body manifests the trauma. In this brief video clip, he shares his method. Often, traumatized clients find that they become dependent on their therapists to help them handle their extreme emotional states. But according to Peter Levine, originator of Somatic Experiencing Therapy, the key to helping clients achieve more autonomy is giving them tools that enable them to better regulate their own body states. 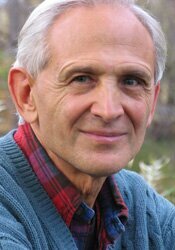 Among the first to fully realize that humans have an innate psychophysiological capacity for overcoming trauma, Peter Levine developed Somatic Experiencing, a simple yet profoundly effective mind-body healing technique. Here, he explains how trauma gets stored in the body, and shares a video from an actual session where he helps a PTSD survivor erase trauma-induced tics. What Does It Take to Ward Off Post-Traumatic Stress Disorder? Among the first to fully realize that humans have an innate psychophysiological capacity for overcoming trauma, Peter Levine developed Somatic Experiencing, a simple yet profoundly effective mind-body healing technique. In this clip from his 2014 Symposium address, Levine shares a personal story about a traumatizing event in his own life, and explains the remedy that helped him ward off post-traumatic stress. Among the first to fully realize that humans have an innate psychophysiological capacity for overcoming trauma and recovering physical and emotional wholeness, Peter Levine developed Somatic Experiencing, a simple yet profoundly effective mind-body healing technique. In this video clip, he shows how simply noticing a client's body sensations can lead to therapeutic breakthroughs. Peter A. Levine, Ph.D., holds doctorates in both medical biophysics and psychology. The developer of Somatic Experiencing®, a body-awareness approach to healing trauma, and founder of the Somatic Experiencing Trauma Institute, which conducts trainings in this work throughout the world and in various indigenous cultures, with 26 faculty members and over five thousand students. Dr. Levine was a stress consultant for NASA on the development of the space shuttle project and was a member of the Institute of World Affairs Task Force of Psychologists for Social Responsibility in developing responses to large-scale disasters and ethno-political warfare. Levine’s international best seller, Waking the Tiger: Healing Trauma, has been translated into 22 languages. His recent interests include the prevention of trauma in children, and he has co-written two books, with Maggie Kline, in this area: Trauma Through a Child’s Eyes and Trauma-Proofing Your Kids. His most recent book: In an Unspoken Voice: How the Body Releases Trauma and Restores Goodness, was recently released to rave reviews. Levine’s original contribution to the field of Body-Psychotherapy was honored in 2010 when he received the Life Time Achievement award from the United States Association for Body Psychotherapy (USABP).